JoJo’s Bizarre Adventure is a franchise that continues to pick up steam in the west with it’s recent anime adaptations, but the series humbly began all the way back in 1986 with the release of Part 1: Phantom Blood in Japan. Phantom Blood is set in 1880’s England and follows the story of our protagonist, Jonathan Joestar (JoJo), who starts off as an annoying, spoiled child, but grows into a true hero who fights to protect all of humanity. Enter Dio Brando, the adoptive son of the Joestar family, who wants to steal the family’s fortune by becoming the only remaining heir, and who may be the most evil and vile character I’ve read in recent years. These two characters are extreme opposites of one another and naturally develop such a toxic relationship over their seven years together that the two can’t help but fight whenever they see each other, eventually leading to a climactic battle to the death. Jonathan and Dio are the driving force of Phantom Blood and are what makes the arc feel so exciting whenever they occupy the same page. Dio is the highlight character of Phantom Blood. 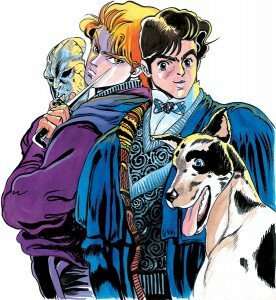 In the beginning panels of the story I felt sorry for Dio because of his life of abuse and neglect from his late alcoholic father, but just as quickly began to despise him when he immediately hit Jonathan’s innocent and loving dog, Danny, when he arrived to the Joestar mansion. Hirohiko Araki has crafted Dio to be the literal embodiment of Satan in manga form. Every time you think he’s reached the peak of his evil, he continues to surprise and awe readers with just how sinister and vile he really is. Despite all these things I hate about Dio, I can’t help but keep my eyes glued to the panels whenever he appears. He refers to himself in the third-person as if he were a God, he has no compassion for anyone but his own well-being, he kills for the joy of the feeling, and he gets high off of other peoples suffering. 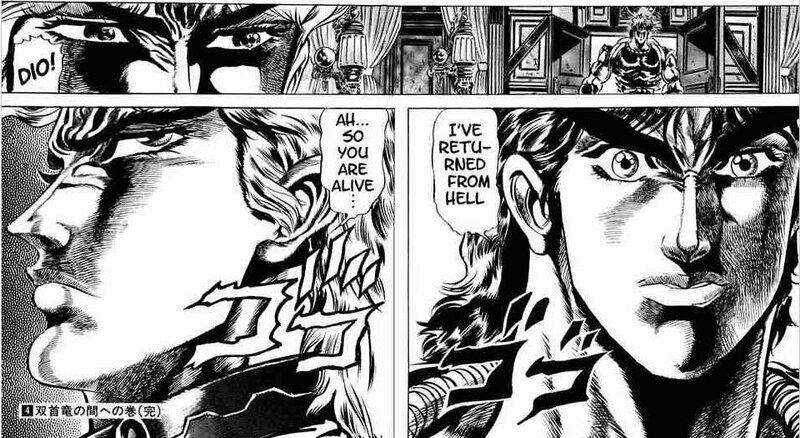 Dio’s presence is just so addicting and perfectly contrasts to Jonathan’s heroic persona. The first JoJo of the series isn’t a pushover either. 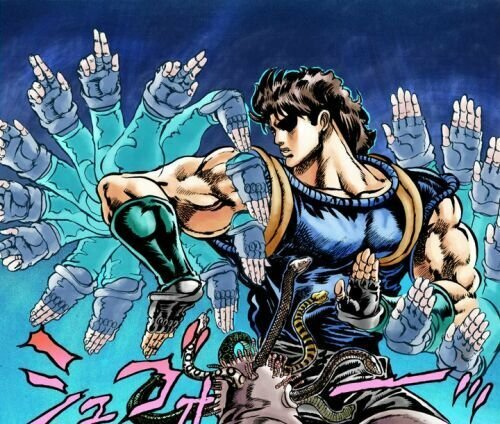 Jonathan is still the only JoJo protagonist to date that really embodies noble and heroic qualities. 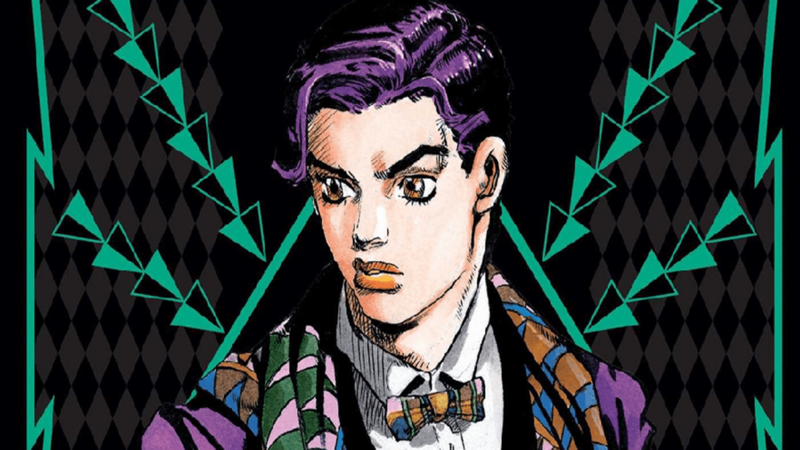 While this sounds like the typical, shounen hero trope mainstream manga is known for in today’s generation, Jonathan grows on you as a gentleman full of charm and charisma over the arc. Whenever the two rivals battle each other it feels so satisfying to cheer for Jonathan as he embarrasses Dio with his natural born skills and talents. Phantom Blood’s story will keep you engaged over the three-volume run, but there are distinct moments where the pace of the story becomes agonizingly slow, specifically with the large side battles against the undead knights, Blueford and Tarkus. In later JoJo arcs, such as Battle Tendency and Stardust Crusaders, Araki begins to master the art of creating amazing side-villains with bizarre, situational powers, but these knights are easily on the bottom of a very long list. However the same can’t be said for the supporting cast of the slum dog, Speedwagon, and the baron, Anthonio Zeppeli. While their introductions are a bit weak, they are a lovable pair that works well off each other. Zeppeli teaches Jonathan the art of Hamon Energy (or The Ripple) and is quite the capable combatant in the art himself. His crazy antics and unconventional fighting methods, along with his jester like persona, add a very humorous addition to Jonathan’s party. Speedwagon is the necessary darkness that Jonathan needs. As a man who has lived his life as a thief until he met the young Joestar, Speedwagon can recognize when people are trying to deceive Jonathan and use his power to fulfill their needs. He’s a trusted friend and treats Jonathan with the utmost respect. The weakest part of Phantom Blood is easily the first volume for its inconsistent art. I love Araki as a mangaka, but JoJo Part 1 is definitely not the shining star on his resume. You can tell that he hasn’t developed his style fully and the details aren’t as sharp as the later volumes. I love how he draws his characters in such expressive poses, but he gets a bit too wild at the beginning, refusing to draw the same expression on any characters face twice. However by the end of the journey, every panel is brimming with beautiful detail that blows today’s shounen manga out of the water. The unique thing about each part of JoJo is that they are essentially a self-contained story. While further parts will reference events in Phantom Blood, it’s not a necessary read. 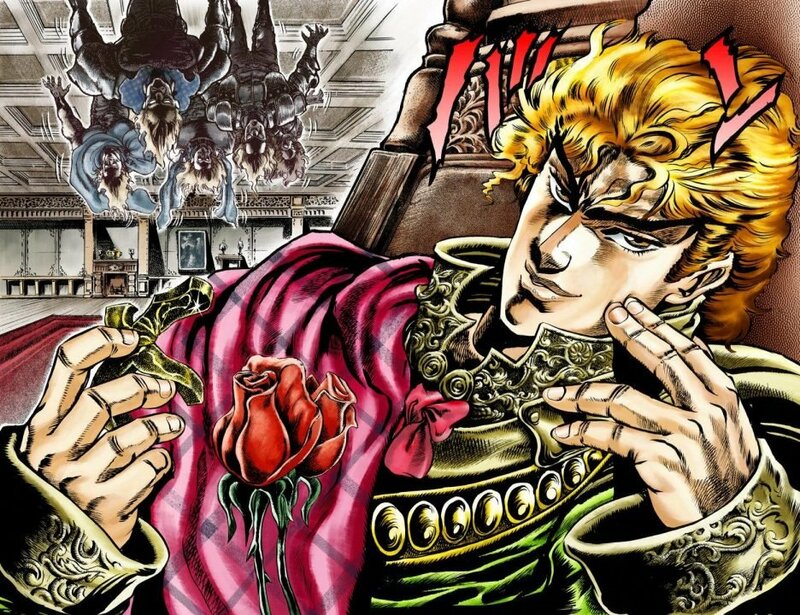 Phantom Blood primarily serves as Dio’s origin story and provides great context for the aspects that make him such a compelling and dark villain. Casual fans will know him more for the events that transpire in Part 3: Stardust Crusaders, where he returns from the dead to challenge Jonathan’s descendants, Joseph and Jotaro. Despite some parts of Phantom Blood moving at a snails pace, there’s still a lot to enjoy about Part 1 of JoJo’s Bizzare Adventure. I wouldn’t recommend it to everyone as the very first arc to read if I was getting someone into the series, because the content is a bit gorier and horrific compared to other parts, but it’s a pit stop every true fan should experience at least once. Phantom Blood may not be the best introduction to the series, but Dio’s origin story is a highlight every fan should experience.